Added song suggestions for PBBshow to WBB member page. Removed link to update log from index. Replaced Vox III peghead photo with Hendricks tailpiece photo. Changed wording on WineLand link from index page. Updated Wineland page by removing Malino's information. Updated Ted and Jeannette's song list. Added PBB Flyer to WBB public page. Some new songs coming soon. Thanks to Frank Cox for notation, lyrics and composer information. An all acoustic folk trio specializing in the folk songs of the west. 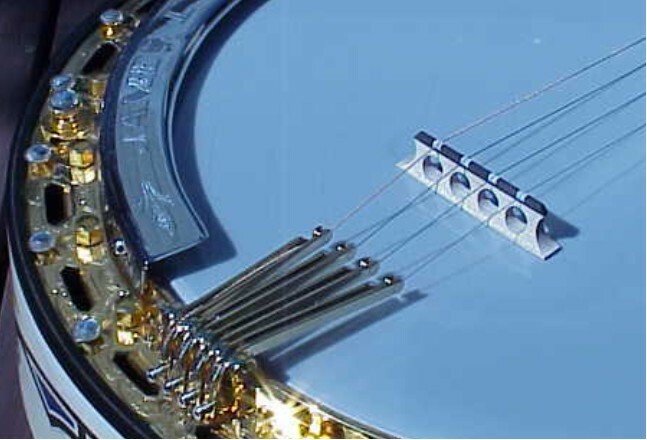 Free downloads of clawhammer banjo tablature and instruction. Added link to ITN ARCHIVE, lots of British Banjo Players and Banjo Band movie clips. Includes 5-string, plectrum and tenor players, plus two clips of Eddie Peabody. Made general format changes to various pages. Added chord chart and lyrics: Toot, Toot, Tootsie! Added lyrics: Music! Music! Music! Added lyrics: Oh, Lady Be Good!